“Trinkets for the Rich” is a timely title, an exhibition that questions value in relationship not only to wealth but also to art itself as the world still digs itself out of the devastating great recession. The dramatic new landscape of increased financial inequality has also been felt in Berlin, Germany. Located in Kreuzberg, where rents are rising as some investors push artists out, the nationalmuseum is a project space hidden in a classic Berlin hinterhof. The project started in 2008 with a small group of artists doing six exhibitions in two months, and in 2011 nationalmuseum found a permanent space and was host to another 17 shows. After another hiatus, the space has now reopened. 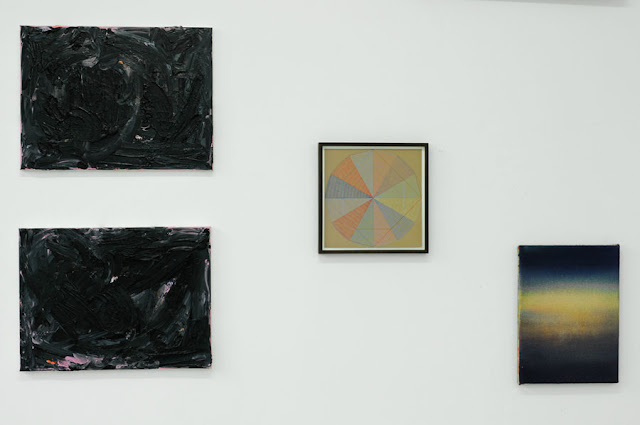 Viewers are greeted with the constellation of well-hung works, curated by artist Raaf van der Sman. The show presents 37 artists, many of whom have shown in the nationalmuseum before. 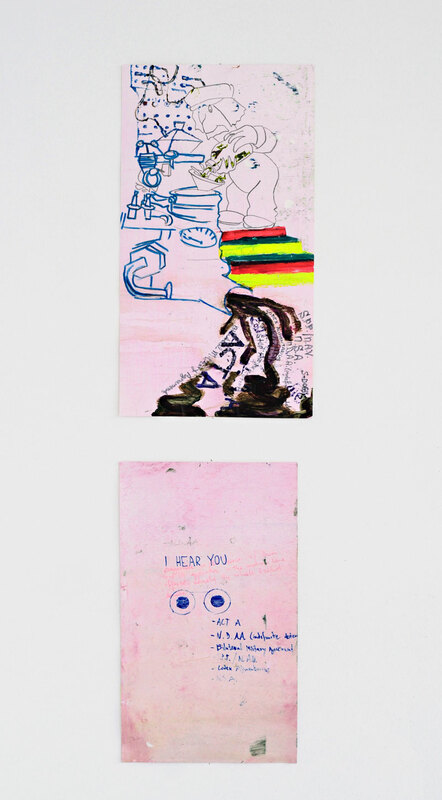 The works present a range of media exploring exhaustion, speculation, anxiety, paranoia, anger, consumption, and beauty. Today, no matter what the artist attempts to provocatively accomplish, a work can be purchased but then promptly put in storage, never to see the light of day again. 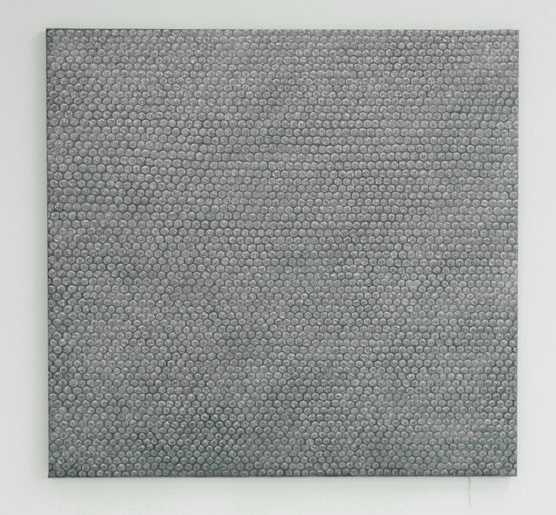 Painter Arnout Killian calls out this contemporary reality directly in his work “Bubble Wrap.” Made by pressing bubble wrap into paint and then onto the canvas, he has made a painting that references minimalist painting histories, and yet intentionally has the impression of the packaging. Normally, this type of discovery when unwrapping a painting after delivery to a gallery is a horror. 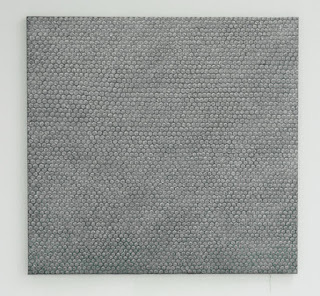 The error in wrapping a work with bubble wrap can risk damaging a surface permanently, but here the artist creates a painting that is already “damaged.” He plays with the dismay of ruining a precious object, and instead relents to the fact that the work may never see the light of day and might as well be permanently in storage. What’s the point then? If artworks are just trinkets, they can be shoved in boxes and forgotten. This fate is one I hope is avoidable for Killian’s and others’ work in the exhibition. Other notable artworks include Maarten Janssen’s painting of rolled dice, which questions the process of decision-making in painting, but could also possibly be read in this show’s context as revealing the variability of the anxiety of living today. 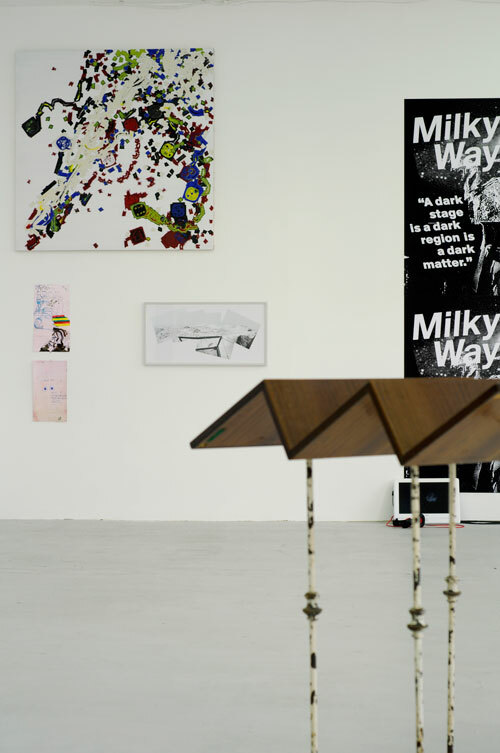 Are artists gamblers and speculators just as much as collectors are, in a sense? They roll the dice each time, hoping for a work to come together and pay off. The ironically-titled exhibit is both light and serious at the same time. 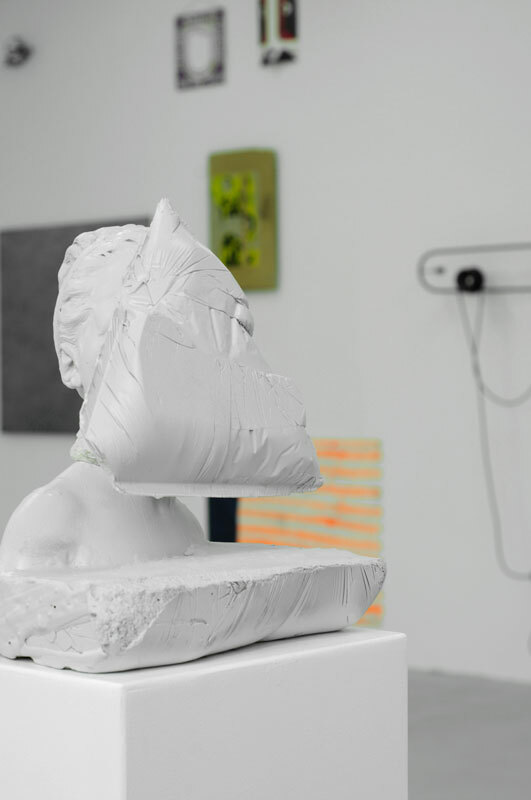 How does a project space assert itself in a landscape of newly-polished white cubes in Berlin, or deal with the general anxiety of a world where museums are sometimes openly storefronts for galleries, markets for the 1%? Pop stars like Björk exhibit now at the MOMA, the museum models shifting to extended marketing platforms. The blurring of wealth, media, and art is a fascinating and disturbing new reality, for artists and consumers alike. 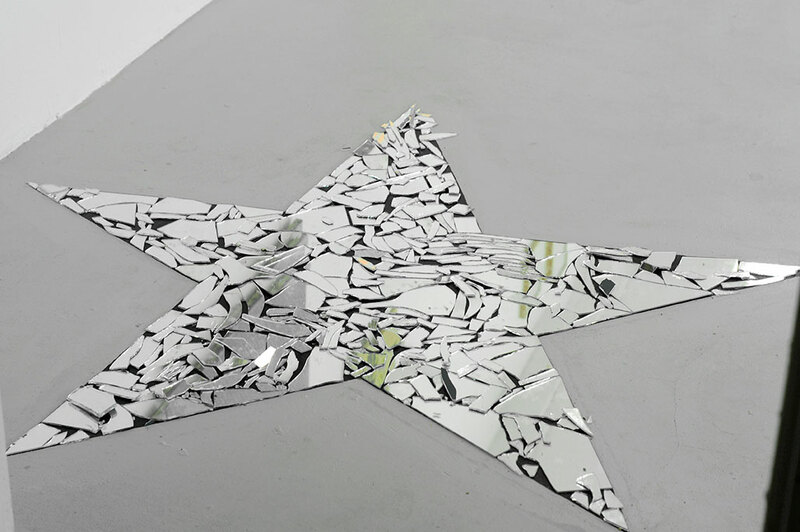 I was reminded of celebrity culture by the star-shaped fallen, broken-mirror sculpture created by Marc Bijl. It echoes our infatuation with celebrities, as well as the futility of wishing for new dreams. Where does the value of having dreams lie? The pursuit of dreams is maybe pointless, and you are looking into the broken mirror, your fractured reflection staring back at you. Your star has fallen. 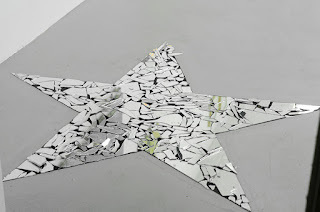 The work is a memento mori of sorts for a walk of fame. Other works in the show reflect anxiety. There is distress and paranoia when there is no shelter in the present. Gold used to be at the end of the rainbow, but now rainbow dreams are often turned into a brown mess, as depicted in the work of Raaf van der Sman. Though with notes clearly referring to the indefinite detention that has become part of anti-immigration policies which have swept through Europe, this work seems open, and could also be seen as exploring a more general psychological climate. Artists and the public are facing the edge of the unknown. The new, unchartered territory with evaporating resources leaves us feeling that we are standing at the edge of a great abyss. In a photo work by Susanne Kohler, titled “Balance Point, Rauhjoch Bivouac in August ,” she references one of her past research projects in which she did a three-month walk, following her own voice’s echo through the Italian and Austrian Alps, ending up being stranded in a metal bivouac box, 3000 meters up in the southern Ötztal Alps. In the photo, we see a platform and a pot collecting water to survive the ordeal. No matter how harsh things become, artists find a way forward. 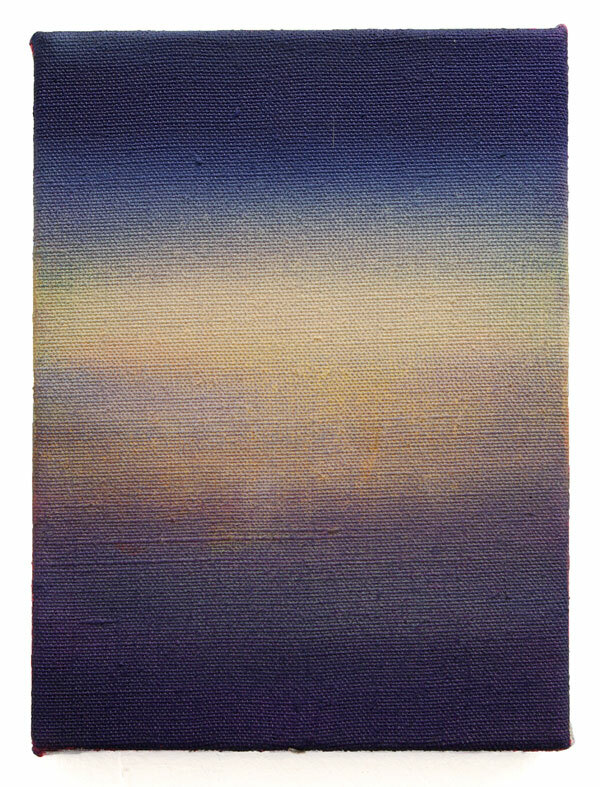 We also find some delicate works in this exhibition: paintings, sculptures, and photos done by artists Julia Münstermann, Stef Heidhues, Robert Gfader, and Marike Schuurman. It is nice to see that many of the works step into asserting both visual and intellectual pleasures. The nationalmuseum in Berlin is open again, and the first show is a subtle interplay of irony and nuance that makes me curious to see what is next. “Trinkets for the Rich” runs until July 20th, 2015.